Panko literally means bread-flour in Japanese, from the Japanese pan, a word borrowed from the Latin for bread via Portuguese, plus ko or flour. However the term is used for light flaky white breadcrumbs that coat fried food. 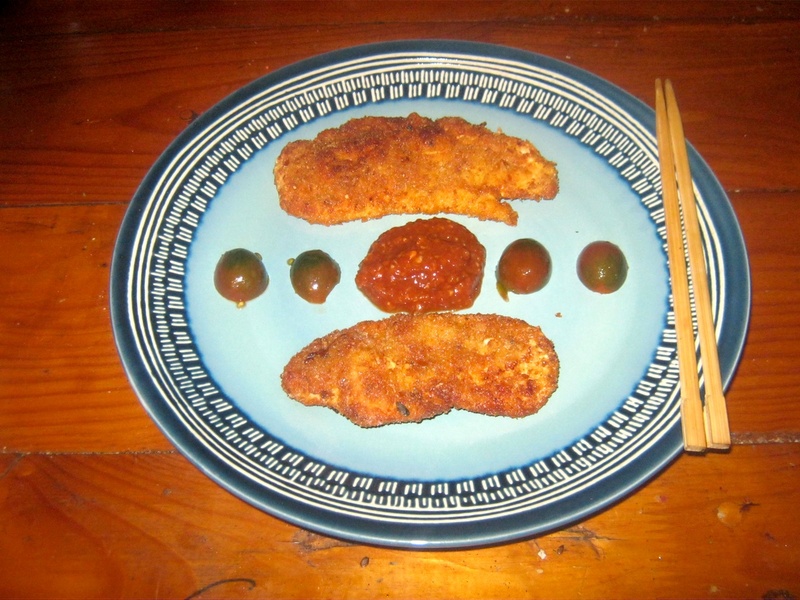 The other ingredients in breaded Asian chicken vary. Some recipes include onion powder, egg and flour, others just butter. In different recipes the crumbs have been combined with Parmesan, parsley, olive oil, salad dressing, honey, garlic, sriracha sauce, sesame seeds, salt and pepper, mustard and many other ingredients. 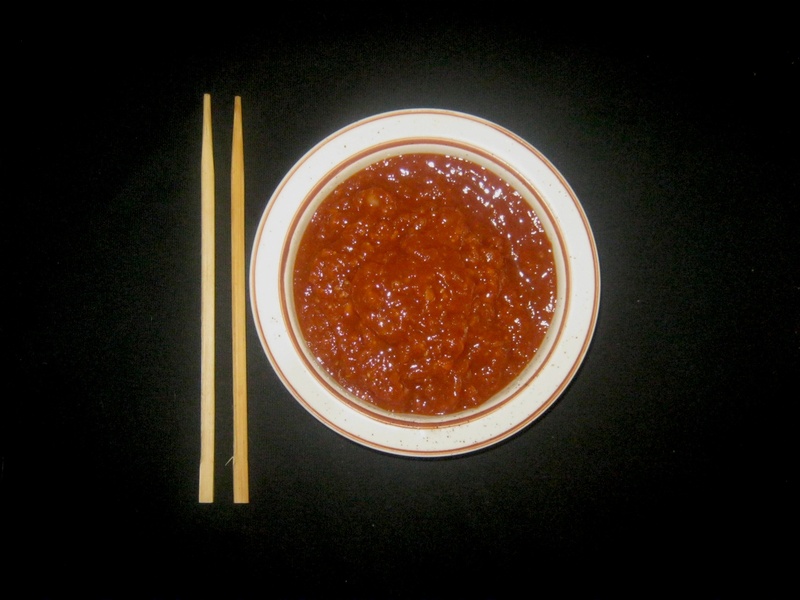 We have to conclude that it is a very flexible cooking technique that seems to marry with nearly anything, and leaves room for invention. 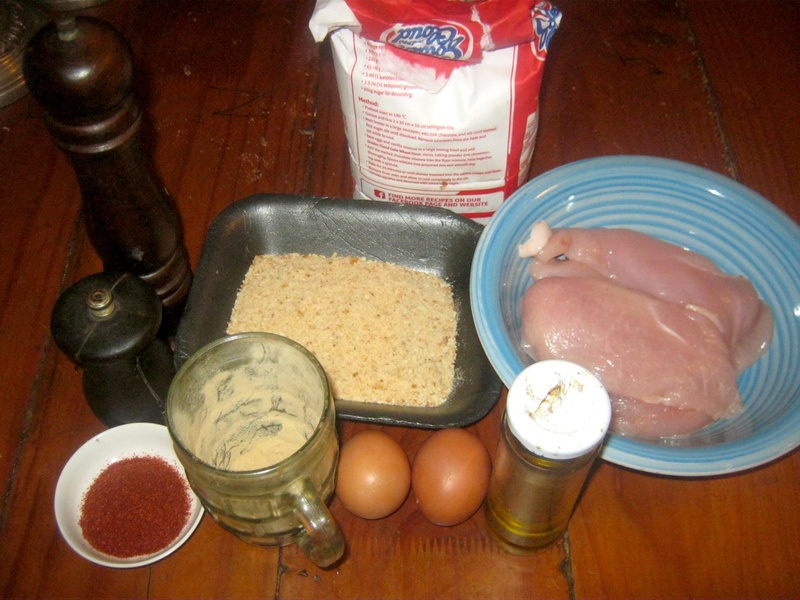 Panko chicken is quick. The whole process including cooking lasts 25 minutes, hence the popularity of panko chicken as a fast food especially if mass produced. This recipe is not the simplest (just butter) but it is simple. The steaks are rubbed with salt, pepper, paprika and garlic powder, then dunked in flour, egg and crumbs consecutively. It combined in a sumptuous way with tangy fruit based tonkatsu sauce which is one of the best meat sauces I've tasted in ages. 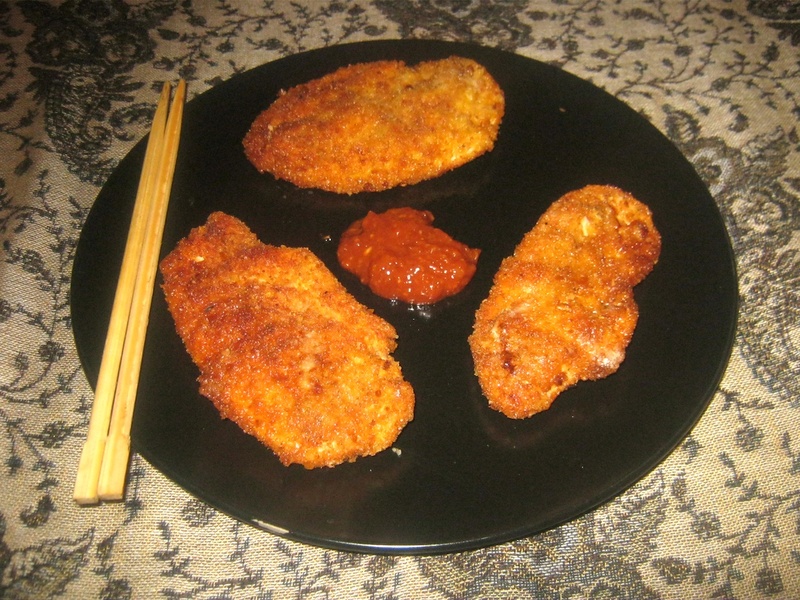 Serve your Panko chicken on a bed of cabbage or rice and some tonkatsu sauce.